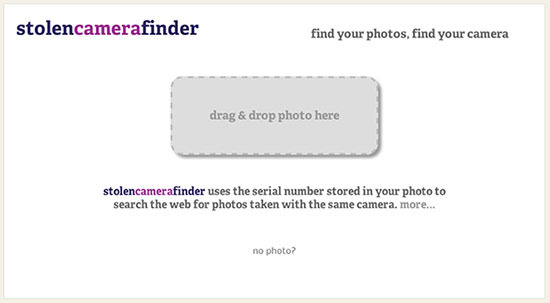 The Stolen Camera Finder is a new search engine developed over the past two years by programmer Matt Burns. His idea is to search the web for photographs that have a stolen camera’s serial number embedded in the EXIF information. 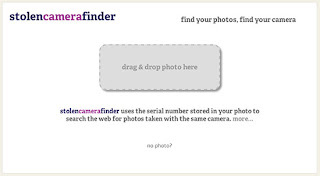 It uses two web crawlers — the first is a standard one that accesses Flickr’s API, while the second is a Google Chrome browser plugin that silently runs in the background and peeks at the serial numbers of images on any webpage viewed. These serial numbers and URLs are stored in a database, and if you’d like to volunteer your browsing for this you can download the Chrome plugin here.